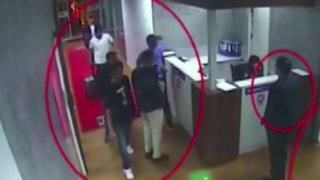 It shows men said to be Saudi intelligence officers entering and leaving Turkey via Istanbul airport. On Wednesday US President Donald Trump said he wanted to "get to the bottom" of the case, adding: "We cannot let this happen to reporters, to anybody." He said the situation was "serious" and wished to invite Mr Khashoggi's fiancée, Hatice Cengiz, to the White House. Mr Khashoggi was visiting the consulate to finalise his divorce so he could marry Ms Cengiz. Turkey's Sabah newspaper reports that it has identified 15 members of an intelligence team it says was involved in the Saudi's disappearance. Among them was a forensics expert, it says. The BBC's Mark Lowen says one of the men was once posted to London. Ankara is demanding that Saudi Arabia prove Mr Khashoggi left the building, while not providing definitive evidence to support the claim he was killed inside. The UK's foreign secretary has told Saudi Arabia that Britain expects urgent answers over the disappearance of Mr Khashoggi. In a phone call to Saudi Foreign Minister Adel al-Jubeir, Jeremy Hunt warned that "friendships depend on shared values". 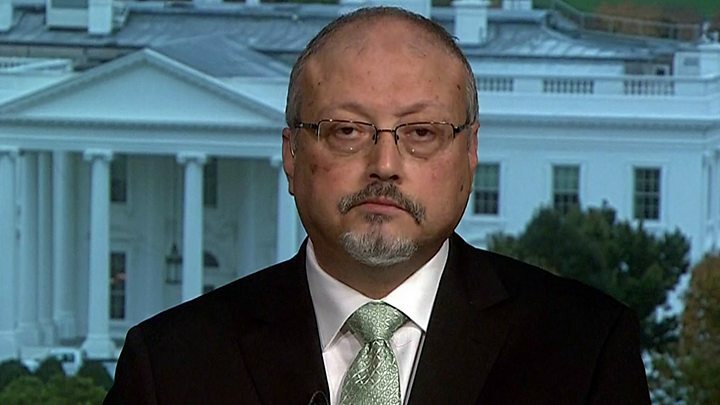 Campaign group Reporters without Borders has called for an independent international investigation into Mr Khashoggi's disappearance. The group says more than 15 journalists and bloggers have been arrested in Saudi Arabia since September 2017.